They are actually pretty ok mountains! 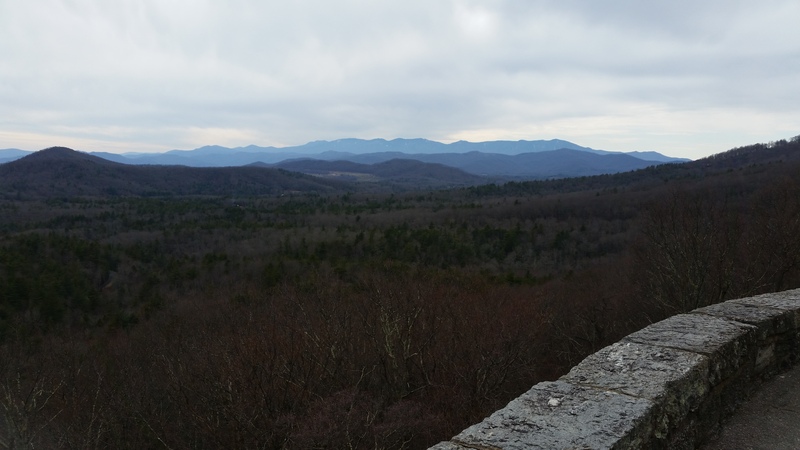 I did a little drive along the Blue Ridge Parkway in March, and the mountains live up to their blue name. North Carolina is home to the tallest peak in the Appalachians (Mt Mitchell, at over 6600 feet – still a bit lower than what I was hiking in the desert in New Mexico two weeks ago!). The parkway is a great scenic drive with lots of opportunities to pull off the road and check out waterfalls and other interesting geology, most of which I sadly did not have time for. Although the Appalachians might not be as fancy as the Rockies, I still like the geology they represent – the closing of the ancient Iapetus Ocean 300 million years ago as Pangaea was assembled. That’s a cool story these mountains tell! But I did have time to drag my husband into a really cool cave tour that we found spontaneously while driving around! 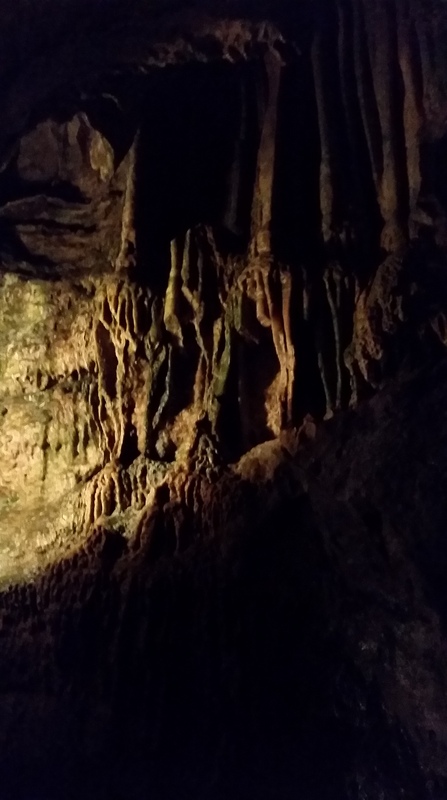 We visited the Linville Caverns, and got to see all kinds of cool cave geology like stalactites, stalagmites, and just generally cool and creepy shapes. The cave sits in the Cambrian-aged Shady Dolomite. So creepy! 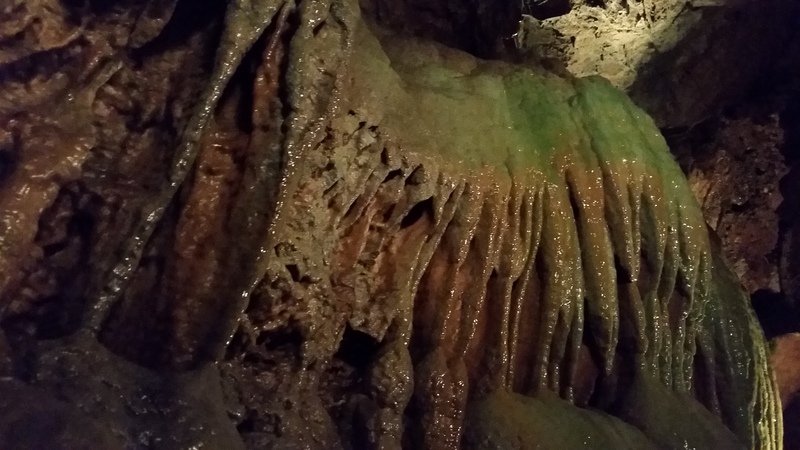 Also, this formation is green because of the constant light source – algae wouldn’t normally grow down here otherwise! 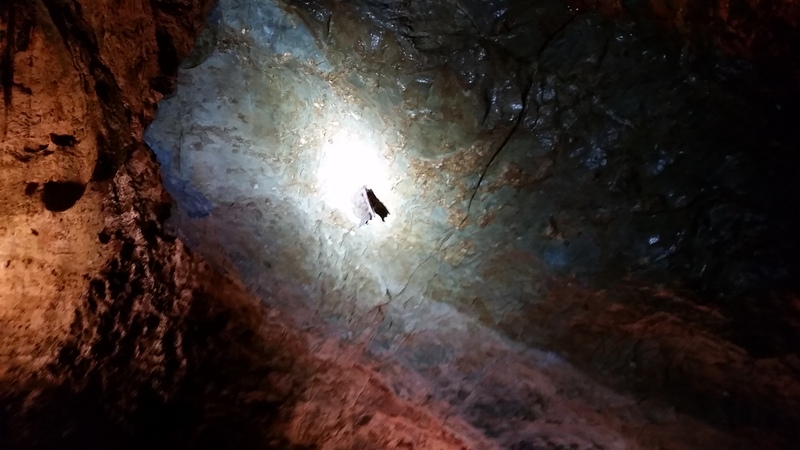 We also got to spot a couple of little bats – these used to be called Eastern Pipistrelles but are now called Tricolored Bats (Perimyotis subflavus). Because I visited in March they were still hibernating, and didn’t pay any attention to us at all. Next time: we drive east!